We are all familiar with Hollywood remaking Asian films, but sometimes it also happens the other way around. This is the case with the Bollywood smash hit Bang Bang, which is a remake of the 2010 Tom Cruise action-fest Knight and Day. One might wonder why of all the films that can be remade, this one was chosen, since it wasn’t such a big hit and generally isn’t seen as a great film. But when you have Bollywood mega star Hrithik Roshan in the lead role, and the biggest budget ever used for a Indian film at your disposal, it might turn out to become something quite spectacular. Well, is it? The movie has its problems, but it can’t be denied that it is a fun and quite spectacular ride from start to finish. The film’s story ain’t that special, and as Roshan said himself in many interviews promoting the film, it is a very simple story. If you have seen the original Hollywood film, the story is more or less the same with some elements changed but the plot takes some fun turns and it’s nice how everything eventually comes together. The film takes its time to take up pace though, as the first 12 minutes are spent introducing the main villain (Danny Denzongpa) and it isn’t until about 30 minutes in until we are introduced to the first real thrills. So let’s take a look at the bang bang part of the film: the action. 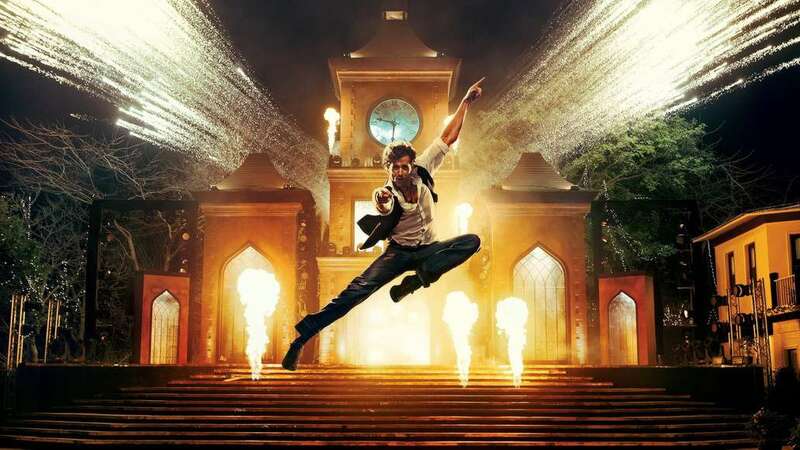 Roshan has stated many times that this is the biggest action film he has done up to this point in his career. Roshan is the center of the film and it all ultimately revolves around him. And rightly so. He has the charm and experience to carry the film and with the body of a god is the ultimate action hero an action film longs for. What I also like is that he portrays the character totally different from how Tom Cruise did, which works nicely. The film has hand to hand combat, high speed chases, shoot outs, explosions: enough bang bang for everyone. 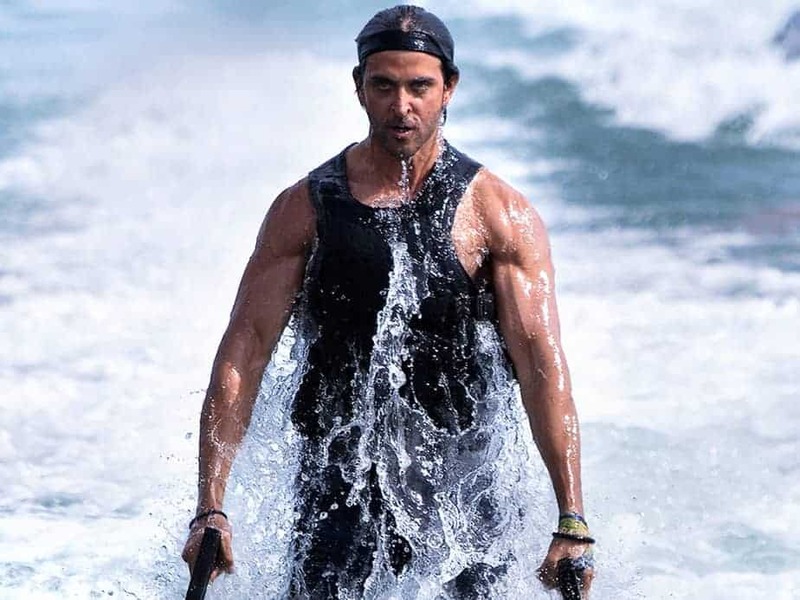 Roshan is known for pushing himself to his limits, and has absolutely given his all in his latest adventure. Most notably is an action scene with a flyboard at sea. 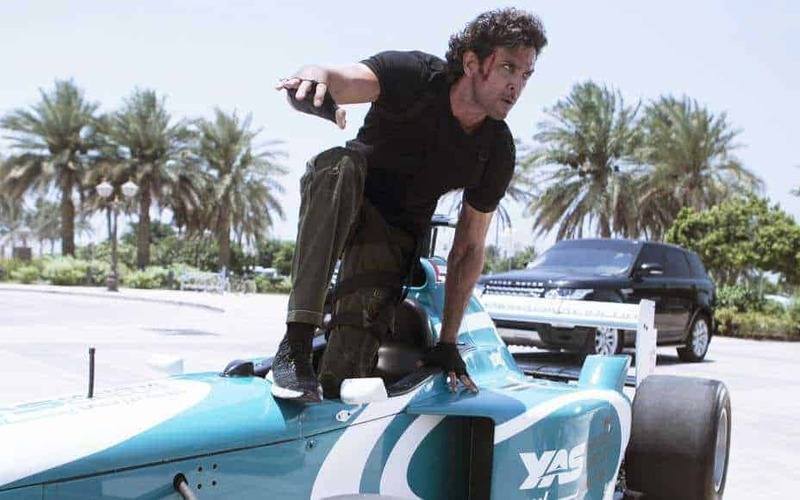 Roshan is the first actor to use such a device on film and did all the stunts in the scene himself. In pure Jackie Chan fashion he injured himself very seriously by not wearing a helmet during the stunt and after hitting his head on the water surface a few times too many, he started to have painful headaches. Because of the constant impact with the water a blood clot had formed in his brain. He had emergency brain surgery to have it removed and went back to work after a short recovery period. 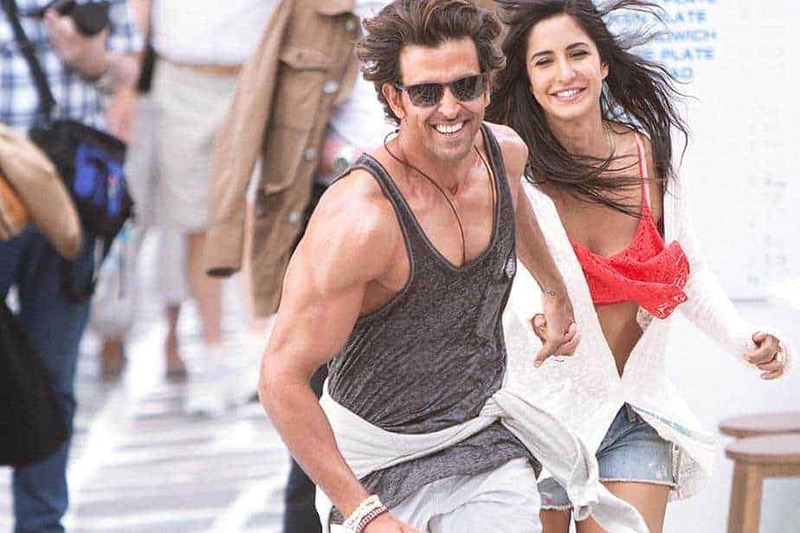 Next to Roshan we have Katrina Kaif, who had previously worked together with Roshan on 2011’s Zindagi Na Milegi Dobara. Just like with many other Bollywood films, the female main star portrays a woman who has difficulty finding a man (even though they are always gorgeous, go figure). Bang Bang isn’t any different in this aspect and a bit too much time is spent to this plot element. But then she meets Roshan’s character accidentally during a date and we’re off! Not just action wise, but also with the obligatory Bollywood dance sequences. In pure musical form and Bollywood fashion, Bang Bang also features quite a few “music video” moments. Some of them are very nice (like the Tu Meri song), but others really slow the story and the film down as they are the usual “girl likes boy” and “we like each other” songs. But ah well, it’s a Bollywood film, so it’s part of the experience. Next to this it all happens in beautiful and colourful locations, so enough eye candy to go around. I am a person who enjoyed the original Knight and Day and found it to be a very entertaining film. Sure it was silly, but it was action-packed and just plain fun. The same can be said of its remake: it’s all a bit silly but nonetheless very entertaining, and that’s what the film ultimately aims to do. 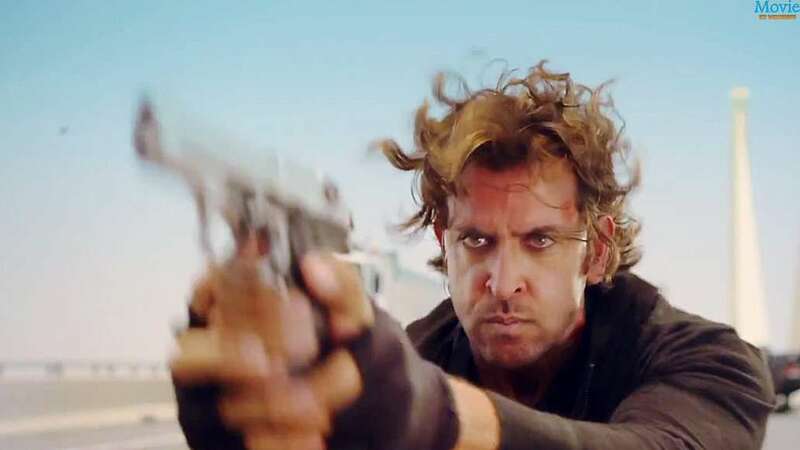 As previously mentioned, the story is sometimes slowed down by some of the music sequences and also has some moments that could have been dealt with in less detail, but Bang Bang definitely is an action-packed film that doesn’t fail to entertain.